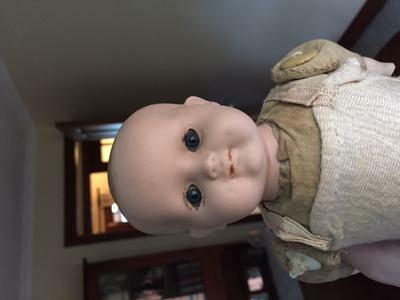 I have an 11-inch bisque baby doll with blue glass fixed eyes and painted eye lashes. 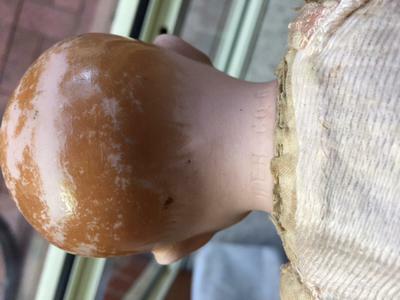 She has a bisque head with painted light golden painted hair She is marked HCH 60-6 on her neck. 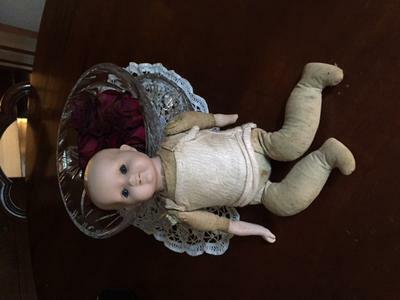 She has a cloth body and legs and cloth upper arms with bisque forearms and hands. The top of the arms are joined to the body with buttons. Can anyone tell me who the maker is, country of origin and approximate year of production.